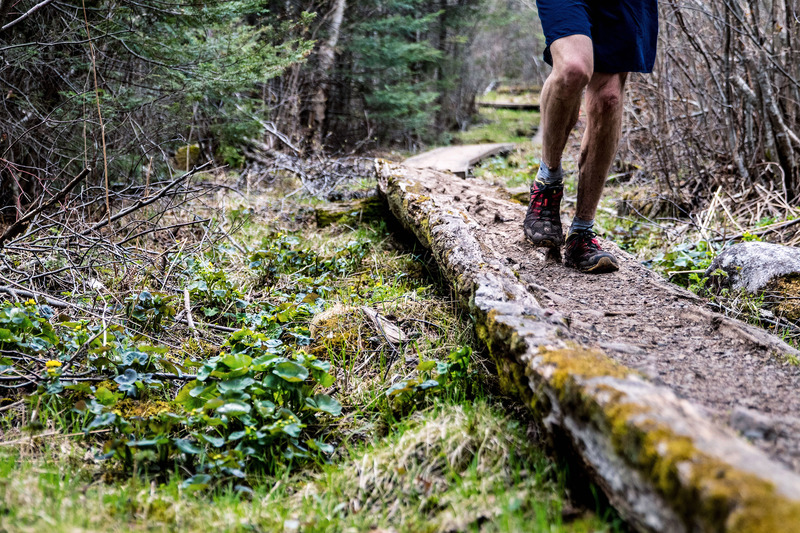 Welcome runners to the Superior Spring Trail Race 12.5KM, 25KM and 50KM – Saturday May 19th, 2018! We are excited to be hosting another talented field of runners hailing from 23 states and three Canadian provinces all coming to experience the North Shore, Lake Superior and the one and only Superior Hiking Trail! Although we had a ton of snow this past Winter the North Shore is below average on rain totals so the trail has been in pretty good shape BUT we all know how quickly things can change on the trail… so, be sure to come prepared to run in all conditions. 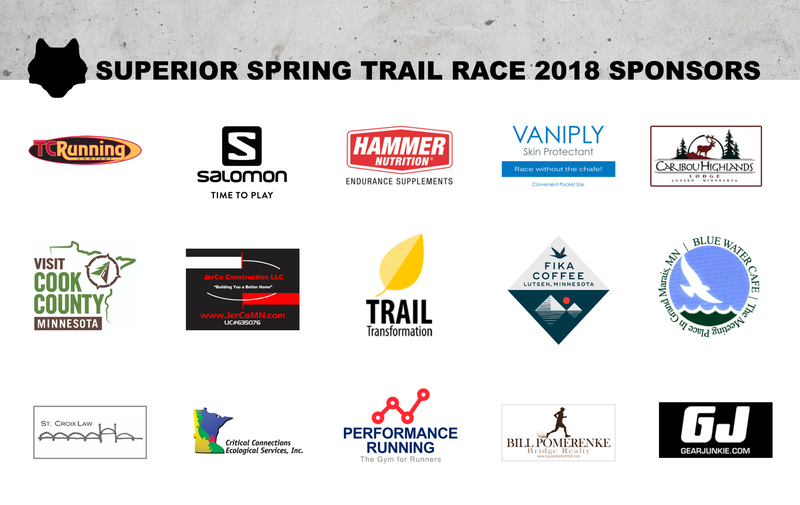 This email is going to be short and sweet and will generally lack specifics since all of the specifics can be found on our website HERE https://www.superiorspringtrailrace.com – PLEASE, PLEASE, PLEASE take the time to read through the site and at a minimum read over / see the following links. There is only one kind of runner we do not care for, those that choose to not read the info on our website and in turn come unprepared for the event. * Please know your race number at packet pickup – it will help expedite the pickup process. Even if you check-in on Friday you will need to re-check on Saturday so we know who is starting the race. 50KM runners, use your assigned race number to mark your drop bags – be sure to include your first name, last name, race number and aid station location for the bag. Note, there are no drop bags for the 25KM! Spectators are welcome at the start of the 25K and 50K races at Caribou Highlands on Ski Hill Road and to visit the Oberg and Sawbill aid stations but MAY NOT park in the trailhead parking lots – signage and volunteers will direct you where to safely park (on one side of the road only) at both locations – please obey all signage and volunteers requests. The trailhead parking lots are to be left open for non-race-related parking (day hikers, backpackers etc.) – if you have friends or family coming to see you please print THESE maps https://www.superiorspringtrailrace.com/maps-and-data/ and / or forward this email to them – note that there are no spectators allowed at the start of the 12.5K and there are no spectating opportunities on the 12.5K course. Hydration: Take a look at the distances between aid stations and plan accordingly, most people need at least one water bottle, many need two and many carry hydration vests or packs, very few people can or will run this race without carrying water and we strongly discourage it. 12.5K runners, as you know from reading the information about the race, due to the remote nature of the race course there is no aid station so plan accordingly – you will go 7.75 miles / the entire race on your own aid, water etc., this is very similar to the 25K in that they go 7.75 miles before they hit their aid station, then go another 7.75 without aid to the finish. Clothing: 50K runners will be out there for a long time and so will some of the 25K runners and even some of the 12.5K runners if they are doing a lot of walking – it is possible to have cold temps and / or mixed with rain (or even snow) – consider carrying or having access to a light jacket or a garbage bag for warmth – these distances are not too short to get hypothermia in the event that we should get rain on a cold day! Drop Bags do not come back to the finish until after the aid stations close, so 1.) Only put things in your drop bag that you are willing to not get back or 2.) Be prepared to wait until the very end of the race for your drop bag to get back to the Start / Finish area. 3.) Drop bags that are not picked up will be donated to charity. We will have sweatshirts, t-shirts, hats, buffs, posters etc. for sale but take cash or check only (no credit cards) and there is no ATM on site, so if you want anything be sure to bring cash or check! Live results will be available via THIS LINK https://results.chronotrack.com/event/results/event/event-39134 within a few minutes of crossing the finish line! We post quite a few entertaining things to our Facebook page HERE https://www.facebook.com/Superior-Spring-Trail-Races-282301375300697/ in the month leading up to, during and after the race – go to our Facebook page and like / follow. We will have complimentary meat and vegetarian chili with corn-bread, fixings and cookies for you when you finish! We have had a few issues in the past where there was not enough food left for registered runners / finishers because family and friends were helping themselves and early finishers were having more than one helping. Please note that we plan for enough chili for registered runners to have one helping. If you or your friends / family need something additional there will be a cookout on the patio with reasonable prices and there is a restaurant on the property. Thank you! Our job is to put on a safe / well organized race for you – your job before the race is to read the website and know what is happening when and where – after that your job is “simple”… show up, run and have a great time! Finally, If you are no longer planning to run this years race, you DO NOT need to email us. On behalf of all 145 of our wonderful volunteers and all of our outstanding sponsors, we are looking forward to seeing everyone at the 2018 Superior Spring Trail Race!